Mr Grigg by Gate at Rivers Corner. Under the thatched roof of a picturesque cottage standing back from the Daws Heath Road, an unique albeit very quiet celebration recently took place. The chief participants were Mr Robert Richardson, aged 90, and his wife, but three months younger, who have completed 70 years conjugal happiness. Retaining his faculties in a wonderful manner, Mr Richardson is still something of the boy, with his fine, tall figure, ruddy colouring and merry blue eyes, though they are surmounted by silvery locks. He takes an occasional two-mile walk to Hadleigh, and is quite competent for a job of hedging and ditching. Mrs Richardson, not withstanding her frail appearance and increasing deafness, is well preserved for her years. Born at Rawreth and married there on Christmas Day 1850, they have passed their lives in this district, where many of the members of this family also reside. Curious as to the descendants of the old couple, our representative interviewed two of their children with imperfect success. There were seven of their generation, said they, three daughters (Mesdames Havis, Pomfret and Petchey) at Hadleigh, two others (Mrs Gardiner and Mrs Jenkins) at Hockley and Battlesbridge respectively, one son at Benfleet and the other at Sittingbourne. It was known that there were 42 grandchildren, that the great-grandchildren reached several dozen and that some of them were parents, but the exact figure was unknown. No doubt it was nearly 100. A quarter of a mile from Richardsons, dwell Mr and Mrs Joseph Grigg, whose 62nd wedding anniversary was also celebrated at Christmas. They were married at Thundersley Church and have passed their wedded life in the parish. Of their three surviving children, a son and a daughter live near them on Daws Heath and the other son at Great Wakering. They have 12 grandchildren. Mr Grigg is 89 and his wife 82. The former is one of three brothers, the eldest being James, aged 91 and the youngest John who is 78. Both James and Joseph, though afflicted with blindness are happy souls and enjoy visits from their baby brother and neighbour, John. 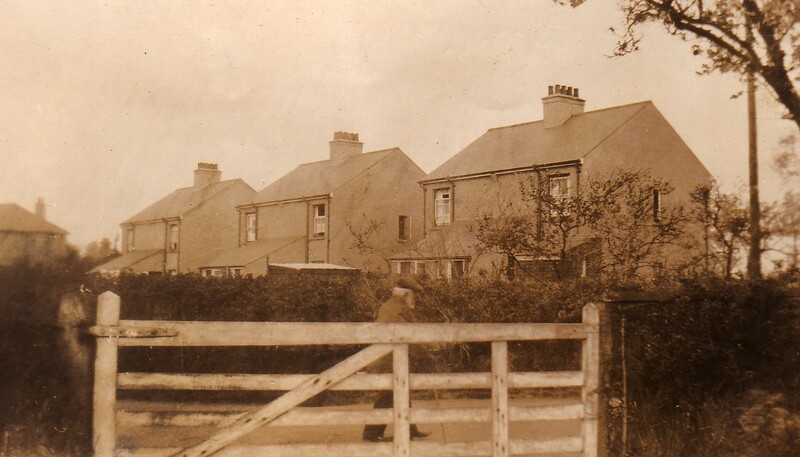 The general stores for the Daws Heath community is kept by Mrs G. Thorington, a sprightly lady of 83, who until a year ago, attended to her fowls and home in addition to her business claims. Mrs Thorington admits that she is disposed to sell her business and make a new home elsewhere provided she could have her liberty though not unseemly liberty. When she married 53 years ago there were fewer houses on the heath and much less trade was done in dry goods. In the old days however, she made a special line of pork, sometimes killing two pigs a week, besides a sheep occasionally. It would seem that the air of Thundersley, of which Daws Heath is a corner, is conducive to longevity. The parish has two nonagenarians, at least 20 octogenarians and numerous septuagenarians. In the second class is Mr Varty of Jarvis Hall, whose years number 85, and was until her demise, recorded last month Miss MacCullum, a quaint old Scots lady of 84, formerly housekeeper to Fergus Hume, the writer. To class three belong at the age of 76, Mr W.H.Sheridan the “Father Christmas” of the parish and Mr R.Shelley, churchwarden of St Peter’s for 40 years.